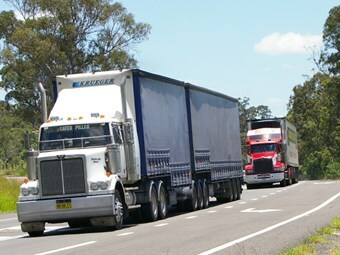 A Queensland parliamentary committee has backed changes to national heavy vehicle regulations to leave truck registration in State hands and penalise drivers who fail to produce their licence. The Transport, Housing and Local Government Committee has recommended Queensland Parliament pass the Transport and Other Legislation (Heavy Vehicle National Law) Amendment Bill, which seeks to make Queensland-specific changes to the Heavy Vehicle National Law (HVNL). Parliament passed the HVNL earlier this year, which will come into full effect on July 1 when the other states and territories follow Queensland’s lead. If passed, the Bill will amend the HVNL to keep the registration of heavy vehicles in Queensland under the control of the Department of Transport and Main Roads until the National Heavy Vehicle Regulator (NHVR) has the tools in place to take over the responsibility. "Provisions dealing with the registration of heavy vehicles…will not be proclaimed into force until the necessary national information and telecommunication infrastructure is in place. Until that point, the current local laws will continue to apply to manage registration functions," the committee’s report, released today, says. NHVR CEO Richard Hancock told ATN in January this year it may take the regulator between 18 months and two years until it is ready to take over heavy vehicle registration. He says the NHVR is considering options such as building a brand new system or adopting an existing state or territory scheme and applying it nationwide. The Bill will insert a new clause into the HVNL forcing a truck driver to hand over their licence if an authorised officer requests it. A driver who refuses to hand their licence over faces a fine of up to $4,950. "As a result…a driver of a heavy vehicle who is required by an authorised officer to produce for inspection a driver licence may not rely on the excuse that providing the licence might tend to incriminate him or her," the committee says. It says drivers must carry their licence at all times and the production of the licence upon request is necessary to comply with requirements set out in national regulations. Other amendments include allowing authorised officers to seize heavy vehicles if there is evidence of an offence against the HVNL, and for transport operators to seek approval from the police commissioner before fitting a blue light to a heavy vehicle. The Bill will also allow the Department of Transport and Main Roads to pass on the personal information of individuals and businesses in the trucking industry to the NHVR. Without the approval the NHVR will need to go to trucking operators directly for information, such as for details of a business’s fatigue management accreditation Transport and Main Roads currently holds. "This would not only administratively untenable, it could provide an additional layer of red tape for industry in having to provide information again that had already been provided in order to secure the accreditation," the committee says. The NHVR is currently operating in Queensland but its responsibilities have been limited to looking after the Performance Based Standards program and the National Heavy Vehicle Accreditation Scheme.